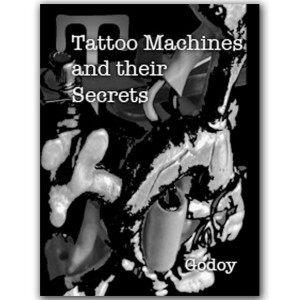 This is a book that is rare to see because it explains step-by-step the secrets of tattooing machine. With it you can disassemble and reassemble without secrets a tattoo machine and explains in detail its mechanisms and its secrets. ; ; Book completely in English and with illustrations for a better understanding. Limited Edition and unique in the world. ; ; Measures: 28 x 21, 5 cm and consists of 122 pages with explanations fullcolor. ; ; To see images of its interior click on photo.